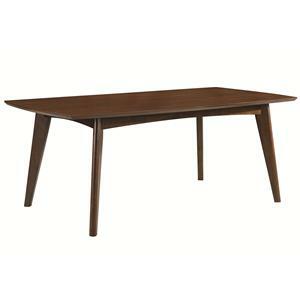 This dining room table draws inspiration from mid-century modern design with softly rounded corners and angled legs. 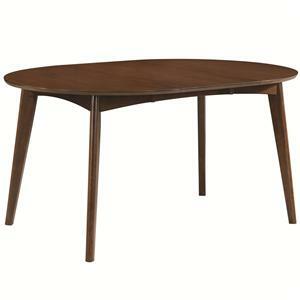 The table is sturdily constructed with a solid hardwood frame and finished with beautiful ash veneers. 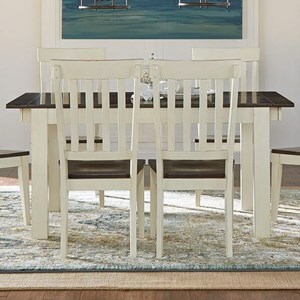 Pair with the matching side chairs for a casual, yet refined dining room set. 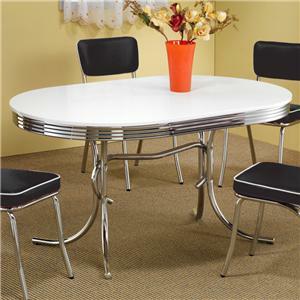 The McBride Retro Dining Room Table by Coaster at Sadler's Home Furnishings in the Anchorage, Fairbanks, Sterling, Alaska area. Product availability may vary. Contact us for the most current availability on this product. 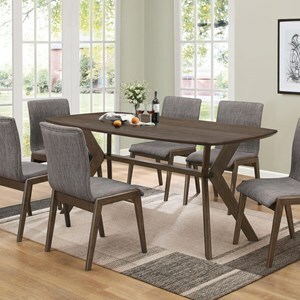 This mid-century modern inspired dining room balances refined design with keeping it casual, perfect for a either a breakfast nook or formal dining room. 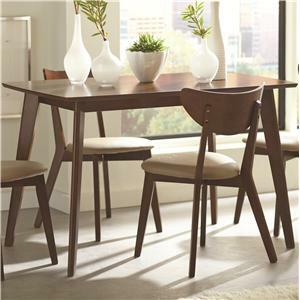 The set is durably constructed with a hardwood frame and finished with warm brown ash veneers. 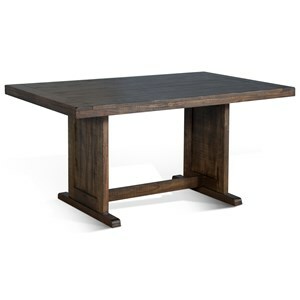 The McBride collection is a great option if you are looking for Mid-Century Modern Casual furniture in the Anchorage, Fairbanks, Sterling, Alaska area. Browse other items in the McBride collection from Sadler's Home Furnishings in the Anchorage, Fairbanks, Sterling, Alaska area.